Alice Mah is Professor of Sociology and Principal Investigator of the 5-year European Research Council (ERC)-funded project Toxic Expertise: Environmental Justice and the Global Petrochemical Industry (2015-2020). She holds a PhD in Sociology from the London School of Economics. Her internationally recognized research on industrial ruination, post-industrial port cities, and environmental justice have been motivated by a deep concern with social inequalities, across different dimensions and scales. She has conducted comparative, mixed-method sociological research in the UK, France, Belgium, Russia, China, the US, and Canada. 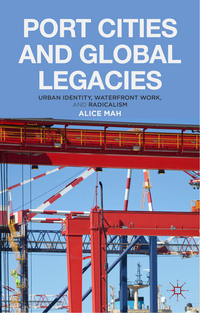 Alice is the author of Port Cities and Global Legacies (2014, Palgrave Macmillan), which examines the politics of urban identity, waterfront work, and radicalism in the port cities of Liverpool, Marseille, and New Orleans. This book traces post-industrial and post-colonial legacies of inequality and political unrest through each city, drawing on diverse sources, from crime novels, to museum exhibitions, to detailed ethnographies of dockworker and activist communities. 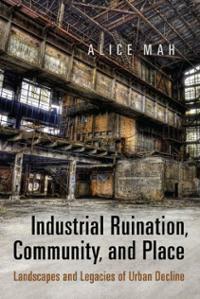 Her first book Industrial Ruination, Community, and Place (2012, University of Toronto Press) was winner of the 2013 BSA Philip Abrams Memorial Prize. This comparative ethnographic research explored lived experiences of industrial ruination in Niagara Falls, USA/Canada; Newcastle-upon-Tyne, UK; and Ivanovo, Russia. Alice is also founder and co-editor of Toxic News, a quarterly e-magazine about toxics in everyday life. 2015-2020. Toxic Expertise: Environmental Justice and the Global Petrochemical Industry- Principal Investigator, Sociology, Funded by: European Research Council Starting Grant. 2016-2018. Economic & Social Research Council (ESRC) Impact Acceleration Award: ‘Climate Change Action Network (West Midlands),’ Role: Principal Investigator. 2016-2017. ESRC Impact Acceleration Award: ‘Toxic Expertise: Impact, Ideation & Public Engagement’, Role: Principal Investigator. 2014-2015. ESRC Connected Communities Imagine Project: ‘The Social, Historical, Cultural and Democratic Context of Civic Engagement’, Role: Co-Investigator. Mah, A. (2014) Port Cities and Global Legacies: Urban Identity, Waterfront Work, and Radicalism, Basingstoke: Palgrave Macmillan. Download sample chapter here. Mah, A. (2012) Industrial Ruination, Community and Place: Landscapes and Legacies of Urban Decline, Toronto: University of Toronto Press. *Winner of the 2013 BSA Philip Abrams Memorial Prize. * Download introduction here. Davies, T. and Alice M. (eds) (under contract) Toxic Truths: Environmental Justice and Citizen Science in a Post-Truth Age, Manchester: University of Manchester Press. Behal, R., Mah, A. and Fall, B. (2011) Rethinking Work: Global Historical and Sociological Perspectives, Delhi and Berlin: Tulika Books and Humboldt University. Mah, A. and X. Wang (2017) ‘Research on Environmental Justice in China: Limitations and Possibilities.’ Chinese Journal of Environmental Law 263-272. Kelan, E. and A. Mah (2014) ‘Between idealization and admiration: the importance of gender in professional identification processes,’ British Journal of Management, 25(1): 91-101. Whiteside, N. and A. Mah (2012) 'Human Rights and Ethical Reasoning: Capabilities, Conventions and Spheres of Public Action' Sociology (Special Issue on Human Rights) 46 (5): 921-935. Mah, A. (2012) 'Demolition for Development: A Critical Analysis of Official Urban Imaginaries in Past and Present UK cities,' Journal Of Historical Sociology 25 (1): 151-176. Mah, A. (2010) 'Memory, Uncertainty and Industrial Ruination: Walker Riverside, Newcastle upon Tyne,' International Journal Of Urban And Regional Research, 34 (2 ): 398-413. Mah, A. (2009) 'Moral Judgements and Employment Policies in Birmingham (1870-1914) : Multiplying the Categories and Treatments of the "Undeserving",' International Journal of Sociology and Social Policy, 29 (11/12) : 575-586. Mah, A. (2009) 'Devastation But Also Home: Place Attachment in Areas of Industrial Decline,' Home Cultures, 6 (3): 287-310. Mah, A. (2017) 'Ruination and Post-industrial Urban Decline,' in The SAGE Handbook of the 21st Century City, eds. R. Burdett and S. Hall, Sage. pp. 201-212. Mah, A. (2017) ‘Industrial Ruination and Shared Experiences: A Brief Encounter with Stoke-on-Trent.’ Topographies of the Obsolete: Ashmolean Papers, Eds. N. Brownsword and A. Mydland. Topographies of the Obsolete Publications, 50-57. Mah, A. (2015) 'Dangerous Cargo and Uneven Toxic Risks: Petrochemicals in the Port of New Orleans,' in Cargomobilities: Moving Materials in a Global Age, eds. T. Birtchnell, S. Savitzky, and J. Urry, New York and London: Routledge, pp. 149-162. Mah, A. (2015) 'Reconstructing Port City Identities: Waterfront Development in Liverpool, Marseille and New Orleans (in German) in Zeitgeschichte in Hamburg. Ed. C. Strupp, University of Hamburg. pp. 38-70. Mah, A. (2008) ‘Ivanovo: In and Amongst the Ruins,’ in The Role of Culture in the Economic Development of Old Industrial Regions. Eds. P. Benneworth and G.-J. Hospers, LIT Verlag, pp. 185-203. Mah, A. (2016), "The US Love Canal Disaster and its Legacy,' China Dialogue, https://www.chinadialogue.net/article/show/single/en/8878-The-US-Love-Canal-disaster-and-its-legacy, 27 April. Mah, A. (2013) 'Lessons from Love Canal: Toxic Expertise and Environmental Justice,' openDemocracy, http://www.opendemocracy.net/alice-mah/lessons-from-love-canal-toxic-expertise-and-environmental-justice, 7 August. Anissa Yu, "Identifying, recognising, and reconciling value differences in social movements: The case of Hong Kong’s Umbrella Movement." Co-supervised with John Solomos. Cong Wang, "From “digital” to “smart”: the future expectation behind Intelligent Transportation System in China from 2008 to 2017." Co-supervised with Steve Fuller. Alexandra Kviat (completed in 2019), "Placemaking in the post-functionalist and post-digital city: the case study of Ziferblat." Co-supervised with Hannah Jones. Julian Molina (completed in 2017), “Intervention Work: An Ethnography of NEET to EET Transitions.” Co-supervised with Noel Whiteside.